Thousands of southern California residents and tourists will be in for a shock when they discover the spicy tuna rolls they’ve been ordering are likely made of different fish. According to a report by an environmental advocacy group, Oceana, DNA tests performed on seafood determined more than half of the samples were mislabeled under federal law. 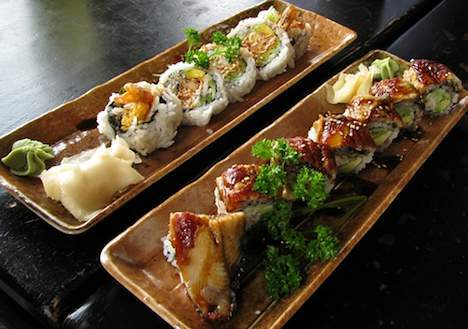 The group collected 119 samples of seafood from restaurants, sushi venues, and grocery stores throughout Los Angeles and Orange counties, and nearly 9 out of 10 sushi samples were mislabeled. Often times it was a cheaper type of fish being sold as a more expensive version, such as escolar, a snake mackerel with health warnings in the United States, replacing white tuna. According to the FDA, escolar has a strong oil in its flesh as well as naturally occurring toxins that can cause diarrhea. Every fish in the 34 samples of snapper was mislabeled. If you’ve purchased red snapper in SoCal, you’ve likely received pollock, tilapia, or other rockfish species suffering as a result of overfishing. According to California law, there are 13 species of rockfish that can be labeled as Pacific red snapper. However, federal law prohibits this. If this was happening in your city (and it’s probably not unlikely that it is), would it deter you from eating as much seafood?